Patriarch Kirill, the leader of the Russian Orthodox Church, has said that U.S. President-elect Donald Trump is the only American politician to give Russians, and Christians, hope in successfully fighting off the Islamic State terror group. Kirill made the remarks in an interview with Russia Today, translated into English, where he said that although he doesn't know Trump personally, he has been encouraged by his strong stance against terrorism. "Based on what Mr. Trump said in the course of the election campaign, we can see that he does have the intention to establish a dialogue with Russia, including first and foremost when it comes to combating terrorism. That's good; it opens up new opportunities for cooperation, which is what I hope we're going to have in Russia-U.S. relations in order to tackle this," Kirill said. He added that he "can't really say" much about Trump beyond that. "I don't know him personally, and I don't know much about his life, so I can only judge based on his statements, which were in stark contrast to other politicians' stances. There was no hope in what others were saying, while Mr. Trump's words give us hope," he added, referring to Trump's stated commitment to combat Islamic terror at home and abroad. Trump and Russian President Vladimir Putin have vowed to work together to defeat IS, the terror group that has held territory in Iraq and Syria since 2014. The U.S. president-elect has suggested that there will be much warmer relations with Russia under his administration than during outgoing President Obama's administration. Putin congratulated Trump on his election victory earlier in November, and according to The Mirror, has vowed that he is ready for dialogue with the U.S. "on the basis of mutual respect, non-intervention into each other's internal affairs." Kirill said in his RT interview that Christians are suffering greatly due to terrorism in the Middle East, adding that followers of Christ are disappearing rapidly because they are being killed off, or forced to leave their homelands. "The Middle East is the birthplace of Christianity, and of Christian culture. 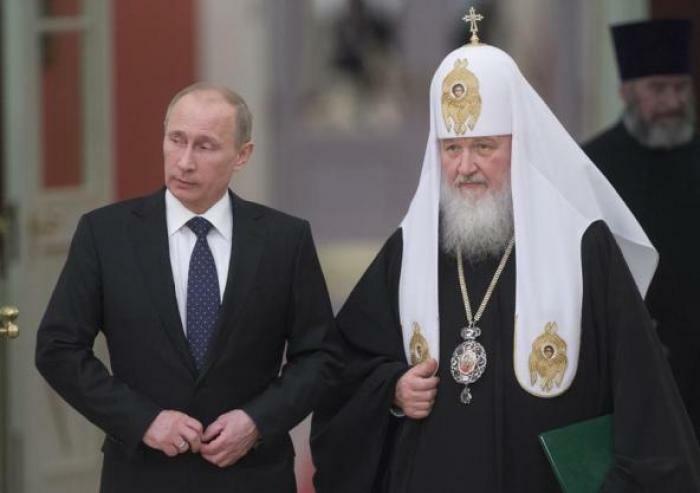 Which is why killing Christians or driving them out of the region isn't just a crime against religion and against human rights and freedoms: it is a civilizational disaster," the Russian Orthodox leader said. "It is perfectly clear that, if the nations currently engaged in the interventions in Syria and Iraq are truly committed to eradicating terrorism, and if that stated objective is their only true goal and there's no hidden agenda, then it shouldn't be a problem for us to join efforts and work together." He said that if the world's united powers could defeat Nazi Germany in World War II, then they should be able to defeat IS as well. "All that is left to us as Christians is to pray and, of course, work together with everyone, so that all the nations involved realize that collaboration is instrumental. We keep hearing that the coalition has its own approach, and Russia has a different stance. Well, now is the time when we can't have two conflicting positions any longer; we need to align ourselves with each other," he said, speaking of Russia's efforts against IS aligning with the U.S.-led coalition.